Window screens are designed to cover the opening of windows. They are also known as bug screens or insect screens. In many countries, the windows of most houses are paired with window screens. They do not hinder the view or blocks fresh air from entering your home. Each type of window screen serves a different purpose. Below are the four reasons why you should have window screens. The primary purpose of window screens is to prevent any insects, bugs, and flies from entering your home. Nobody likes bugs and flies roaming around in their homes. The best thing about window screens is that you can still enjoy the cool breeze. Window screens act as a barrier for insects but provide no hindrance to the air flow. When the windows are opened, dust and dirt come into your home with the wind. You cannot keep your windows closed at all times in an attempt to keep your house clean. This is where window screens come in action. They keep fresh air coming and block dust and dirt from entering. Window screens can help you significantly in keeping your house dust-free and filled with cool and fresh air. Some window screens are made from materials that can keep your house cool even when the temperatures outside are soaring. These types of window screens are called sun screens. They cover your windows and allow fresh air to enter while prevents the heat from entering. This way, the temperature inside the house remains cooler than outside. A lot of people keep their windows closed because they are afraid that balls or toys will come crashing into their living room when the kids play on the streets outside. Some window screens are strong enough to keep them from entering through the windows. When a ball comes crashing into the window screen, they resist the pressure instead of tearing apart. They prevent it from entering the house. Aluminum: The most commonly used material for window screens is aluminum. It is more expensive and durable than most other materials. Cooper-Bronze: This is the most expensive type. It does not rust. Copper-bronze window screens are the only type that can withstand harsh weather conditions without rusting or tearing. Polyester: Polyester is more commonly found on screen doors rather than windows. It is a flexible material, withstands stretching, and resists sagging and tearing. Fiberglass: This material is cheaper and fragile. Window screens made from fiberglass get damaged easily. Window screens are a blessing. They keep you protected from irritating insects. They keep dirt and dust away from home and let you enjoy the cool breeze at all times. Without window screens, you will have no option other than to keep your windows closed all the time. If you wish to get window screens installed in Gilbert, AZ or get them replaced, Gilbert Screens is the place to be. Congratulations! You have finally got window sunscreens installed in your house to beat the Arizona heat. Window sunscreens is not something that you can get replaced every other month, but they can lose their efficiency and get damaged if not taken proper care of. Window sunscreens are delicate and can easily get damaged. So, whenever you take them off, let’s say for cleaning, make sure to be very careful while handling them. The most important thing while handling solar screens is to ensure that the aluminum frame does not get bent. For that, make sure to hold the screens from the top only – never hold them from the bottom or the support bar in the center because this can cause their aluminum frame to bend. Experts recommend being extra careful with the bigger screens. Also, it is advised to avoid taking off the screens on a windy day because the wind can damage them. We all know that changes in temperature can cause the windows to expand and contract. 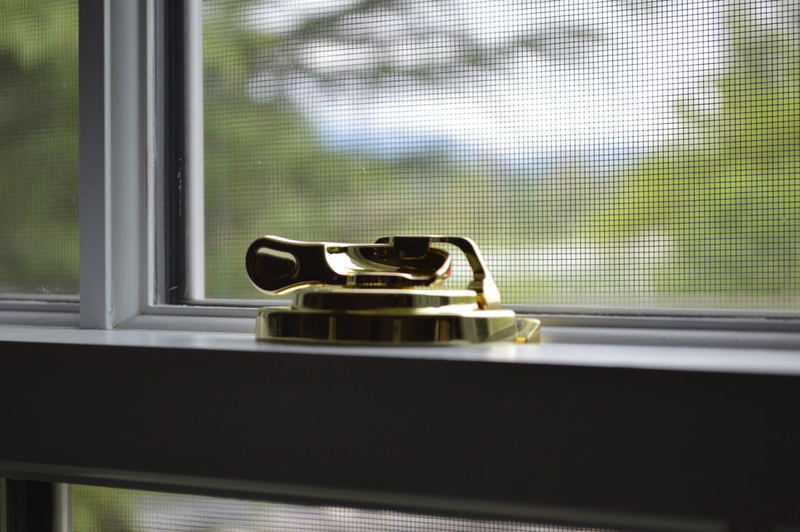 When this happens regularly, it can loosen up the screws and clips that hold the window screens. Therefore, make sure to tighten them, at least once a year, otherwise the screens will fall off or get damaged due to winds and storms. This seemingly insignificant task can save you big bucks. If you take off the solar screens during winters, make sure to store them at a place that’s out of the way to avoid any accidental damage. They can either be stored vertically, next to each other, or stacked horizontally. Before you take off the solar screen from your house windows, make sure you know the right ways to clean and reinstall them. As mentioned earlier, window screens are very delicate and can easily get damaged. So, do not take the risk if you are an expert of the craft and call a professional of window sunscreens in Gilbert, AZ. 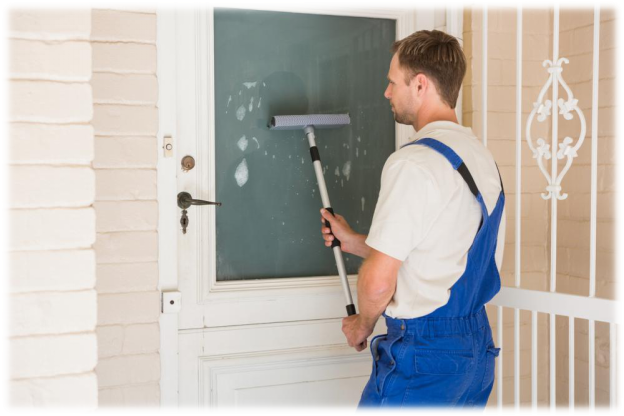 The best way to clean window screens is with soap water and a soft bristle brush. While many people also use pressure washers for this, you have to be very careful with it. Even a small mistake, like the wrong position of the screen, using pressure or washing from too close can damage the screen fabric. Didn’t know these tips earlier and ended up damaging your window screens? Don’t worry – we have got you covered! Arizona Screen Techs provides screen repair service. Call (480) 418-1128 to get your solar screens fixed by the best professionals in town. Window sunscreens is not something that you can get replaced every other month, but they can lose efficiency and can get damaged if not taken proper care of. In this article, we discuss some simple care and maintenance tips to help you extend the life of your solar screens so they can continue to block out heat for years. According to Salt River Project, half of the heat that penetrates into a home mainly enters through the windows. Owing to this fact, people in Gilbert, AZ experience unbearable heat during the hot summer season, resulting in a lot of discomfort and distress. It becomes nearly impossible for them to enjoy a serene atmosphere at their home sweet home. The best way, according to modern homeowners, to combat excruciating heat at home is by installing window sunscreens in Gilbert, AZ. If you are new to this effective and affordable house feature, you probably have a ton of questions regarding it. We have tried to answer as many as we could in this blog. 1.What Is a Solar Sunscreen? A solar sunscreen, typically made from polyester or any other durable material, is installed on the exterior of windows to keep the harmful UV rays of the sun from infiltrating into the house. It usually comes in dark shades which effectively blackout the entire window. 2.How Long Does It Take to Install Window Sunscreens? Installing window screens isn’t time-consuming if you hire a reliable and well-experienced window contractor. At most, it takes two to three hours to install solar sunscreens in your windows, depending on the number of windows in your house. 3.Does a Solar Screen Help Save Energy? Various studies support that solar screens, as compared to other kinds of shades, are quite energy-efficient. According to a study conducted by the University of Florida, solar screens block most of the harmful rays of the sun and keep them from penetrating into the house. In this way, windows absorb less heat, eliminating the need to turn on fans or air conditioners. Homeowners are able to conserve more energy and as a result, experience lower energy bill. 4.Is It Possible to Look Out of the Window After the Installation of Sunscreens? The view is hardly obstructed so you can clearly see outside. However, it will be difficult for someone standing outside to look inside the house. 5.Do Solar Screens Provide Privacy? Of course, they do. Since solar screens are black in color and installed right over the windows, it is difficult for an outsider or a stranger to peek into your house. 6.How Can I Clean Solar Sunscreens? Solar sunscreens only need occasional cleaning that can be done with mild soap and water. Wipe away the dust using a dry rag. Sweep away the loose dust. Then, with the help of a soft vacuum cleaner, remove the rest of the dirt and dust. 7.Are Solar Screens Available in Different Shapes and Sizes? Yes, solar screens come in a variety of shapes and sizes so that they can easily fit all kinds of windows. You can find solar screens in multiple shapes like square, circle, octagon, rectangle etc. 8.What Is the Shelf-Life of Window Sunscreens? Depending on the quality of the solar screen you invest in, they can last anywhere from one to two years to twenty to twenty-five years. 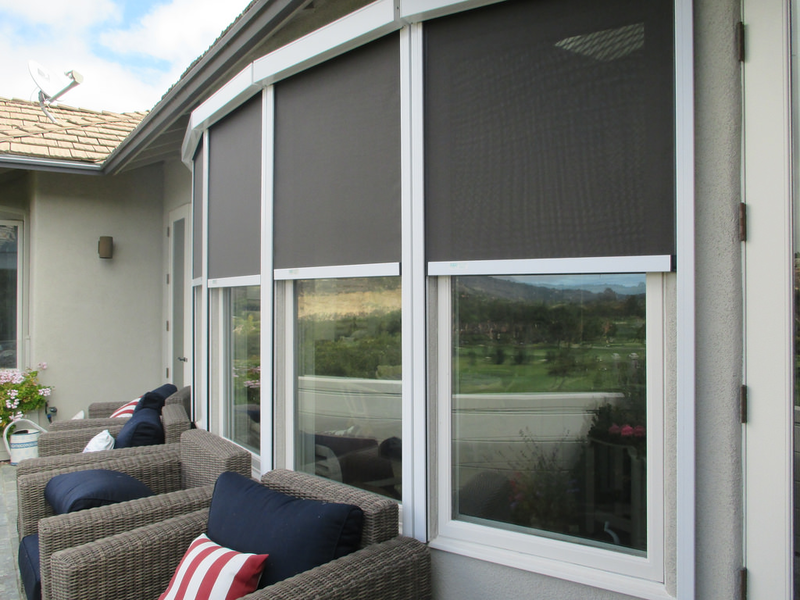 Solar screens are not only functional but they also add to the overall aesthetic appeal of your house. Thus, their professional installation would prove to be nothing but the best choice for you and your house! Most modern homeowners have started installing window sunscreens which have helped protect them against the harmful UV rays and from strangers peeking into their houses. As a matter of fact, window sunscreens come in a wide array of types, consisting of different kinds of materials and quality levels. If you have invested in a low-quality window sunscreen, there are chances you will have to replace it with a better one. Over time, your window sunscreen may indicate signs (mentioned below) that will prompt you to ditch it for a newer sunscreen. 1.Window Sunscreens in Gilbert, AZ | Tearing or Meshing of the FabricLow-quality window sunscreens are more susceptible to wear and tear which is why it is advised to invest in only excellent quality sunscreens. If your window sunscreen has small tears or brittles around, they will turn into a large hole with time. Due to this, the window sunscreens won’t be as functional as they ought to. If you experience this, replace your poor window sunscreen with a high-quality material. In this way, the window sunscreen will last for a longer period of time. 2.Window Sunscreens in Gilbert, AZ | Color FadingWith time, you may notice that your window sunscreen is becoming discolored. Generally, window sunscreens come in dark shade such as black. With the aging of the material, the window sunscreen may lose its color, turning into a lighter shade. However, a discolored window sunscreen is never a good sign. Therefore, if and when you observe your window sunscreen tarnishing, call for a professional’s help right away. Many people try to deal with this problem by using DIY methods which aren’t effective in the long term. Hence, it’s recommended to hire a reliable company that can help repair or replace your window sunscreen. 3.Window Sunscreens in Gilbert, AZ | Dented or Bent FramesMost window sunscreens are made up of light material such as aluminum and then enclosed with a mesh screen such as nylon. The fact that these screens are lightweight makes them easier to bend or suffer a dent. Hence, it’s common for homeowners to come across window sunscreens that are damaged. You can repair window sunscreens but if they are past the repairable stage, you can replace them with sunscreens made from stronger material. Make sure that you call a professional for the job as doing it on your own wouldn’t be ideal. Are you on the lookout for Arizona’s best quality window sunscreens? If yes, Gilbert Screens are the answer to your continual search! They not only provide stylish screen windows but doors too. Their top-notch sunscreens would not only elevate the exterior of your house but serve the functional purpose too. We are Gilbert Arizona's favorite window and door screening company! Serving the entire East Valley! 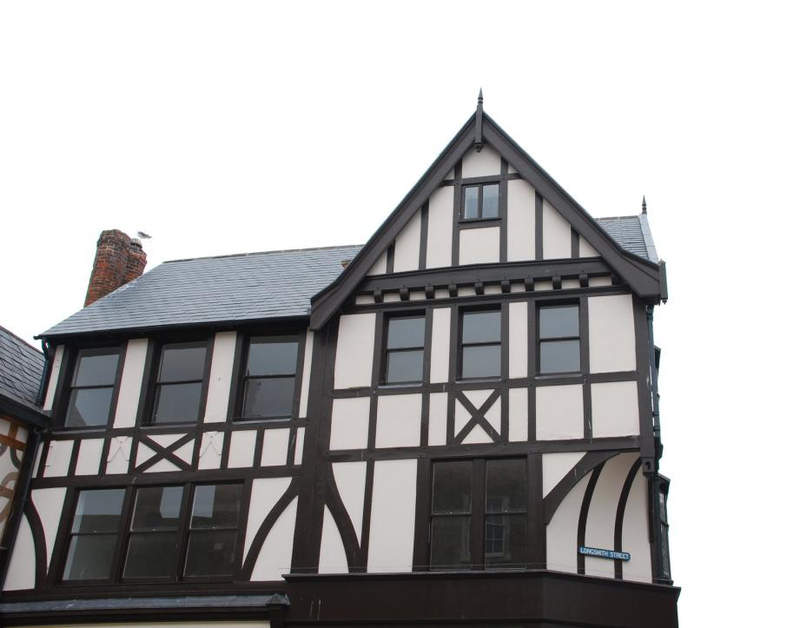 THE LOCATION ABOVE IS NOT A STORE FRONT. WE ONLY OFFER ON SITE ESTIMATES.